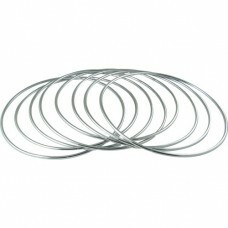 This is a lovely set of professional quality Chinese Linking Rings made from hollow, stainless steel! They "ring" beautifully. This pro-sized TWELVE INCH set also features a magnetic key ring for those occasions when you want to spin the key on a "solid" ring! The magnetic connection works quietly and easily...you'll love the convenience! Perform all of your favorite LR moves with ease and confidence! 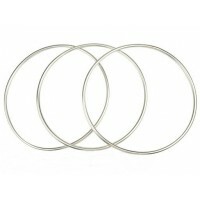 Each set includes EIGHT Stainless Steel Rings (1 Magnetic Locking Key, 2 Single Rings, 2 Linked Rings, and 3 Linked Rings.). 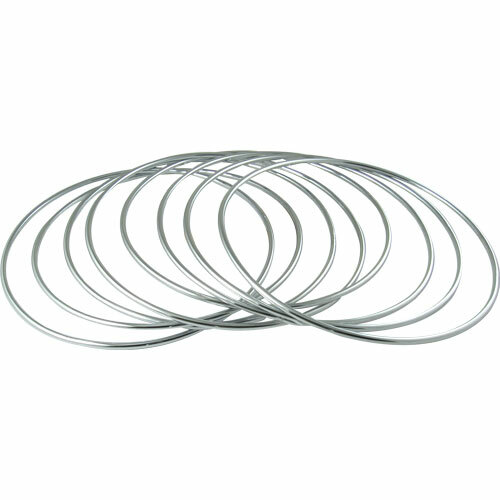 All rings are twelve inches in diameter. This set is crafted in high quality Stainless Steel and comes with a cloth drawstring carrying bag (see photos below). This set normally is sold with no instructions (check Tarbell or just about *any* other reference work on classic magic for ideas and complete routines), but I *will* include a set of instructions that was written for a THREE RING SET, but happens to include a section on the magnetic key. 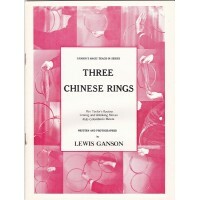 That'll get you started and you'll be on your way to incredible magic with the Chinese Linking Rings!